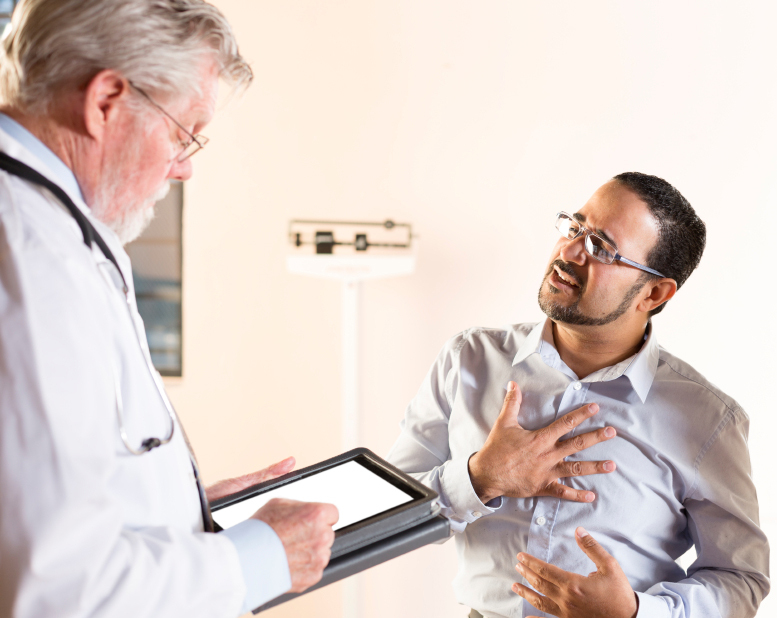 Stable angina pectoris is a specific type of chest pain that occurs when the patient is NOT at rest and is exerting themselves. It is often secondary to atherosclerosis/coronary artery disease, however other factors can also contribute (such as anemia or aortic stenosis). Stable angina belongs to a category of conditions called “Ischemic Heart Disease”. The paint felt by the patient is due to ischemia of the myocardium. This fundamentally is a problem because the muscles of the heart are not getting proper perfusion. Chest pain: that is present in the setting of exertion. Lasts ~20 minutes, radiates to left arm or jaw. Can be present with diaphoresis and SOB. EKG: ST depressions can be observed during a stress test (in vessel territories of subendocardial ischemia). A “normal” resting ECG and negative troponin I lab value can help rule out more serous cardiac disease/a heart attack. Rest should help resolve the chest pain (if the condition is indeed stable angina). Nitrates (ex. nitroglycerin) should also help resolve the chest pain. Beta-blockers can be used for initial therapy/relief of symptoms. CCB (ex. Verapamil) can be used if beta-blockers are contraindicated. This depends on a variety of factors. Patient lifestyle will have a large impact on prognosis. Complete occlusion of coronary arteries is a large concern for patients who have developed stable angina. Once these arteries are no long patent, a myocardial infarction is very likely. To be symptomatic is is believed that coronary arteries must be at least 70% occluded. Patients with stable angina likely have this degree of occlusion in one or more coronary arteries.